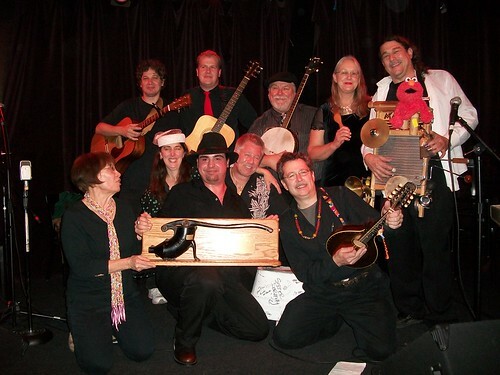 Congratulations to Strictly Jug Nuts, the winners of Chicago's Second Annual Battle of the Jug Bands. You can see them above, posing with the coveted sausage grinder trophy. I took a zillion photos, which I've uploaded to a Flickr set.